For a little kick, it’s lightly spiced with cumin and chili powder and mild, roasted green chilies. Instead of high-calorie cheese, this chili is topped with a dollop of Greek yogurt. 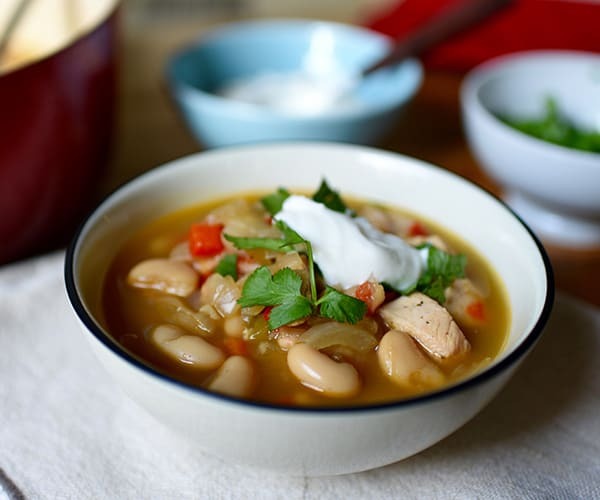 When you’re yearning to savor something bright and refreshing, but still need something to warm your bones, this Chicken and White Bean Chili is your answer. It’s the best of both worlds, and it allows you to make six portions in an hour or less. 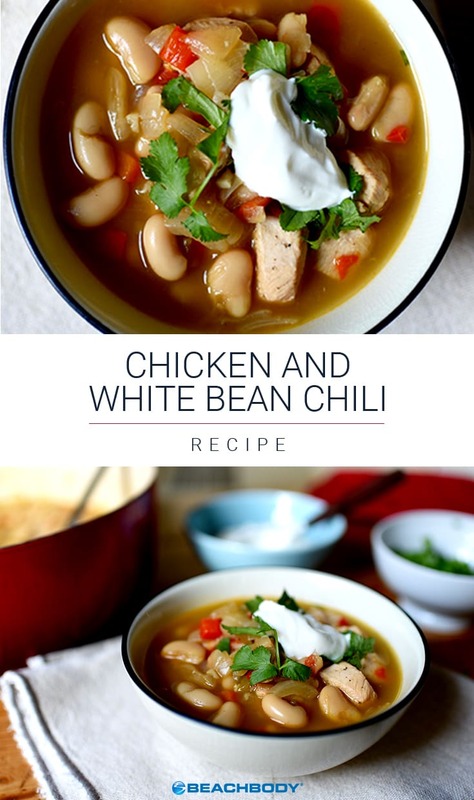 When it's sweater weather outside, it’s the perfect time to tuck into a bowl of this Chicken and White Bean Chili. Add onions and bell pepper; cook, stirring frequently, for 4 to 5 minutes, or until onion is translucent. Add chicken; cook, stirring frequently, for 4 to 6 minutes, or until no longer pink. Add broth, beans, cumin, chili powder, salt, pepper, and chiles. Bring to a boil. Reduce heat to medium-low; cook, stirring occasionally, for 20 to 25 minutes. Divide chili into six serving bowls; garnish with cilantro if desired. Add more protein and a side salad (or more veggies) to make a great lunch.